Project: At the request of clients, i-Enterprise Ecobirch manufactures birch and pine glulam boards, as well as finger-jointed components, in the first stage of the business analysis of the digital innovation program. The enterprise is the largest manufacturer of birch glulam boards in the Baltics. Terms of reference: At Ecobirch’s request, Columbus Estonia carried out the tasks of the first phase of the i-Enterprise business analysis. 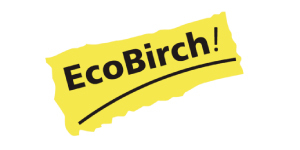 It which aimed to identify the main problems relating to Ecobirch’s primary processes that could be eliminated (or mitigated) by implementing various digital solutions. Outcome: Columbus Estonia compiled an overview of the processes and bottlenecks due to the analysis. In addition, solutions have been offered to solve or mitigate these difficulties by using digital solutions. In addition, a digital development vision and a corresponding action plan were developed, which could be followed to increase the use of digital solutions in the company and thus mitigate the difficulties involved. Project: Tasks of the first stage of business analysis of the i-Enterprise digital innovation program. 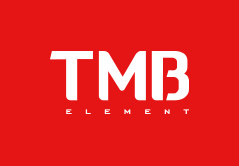 Terms of reference: The goal set by the management of TMB was to increase the efficiency of the company and improve the traceability of processes utilizing the possibilities of digital innovation. Outcome: The business analysis provided an overview of the enterprise ‘s information systems and their functional link to business processes. Mapped business processes were assessed based on their impact and importance in the value chain, the intensity of resources and the level of digitalization. Project: Business analysis of the digital innovation program i-Enterprise. Terms of reference: Barrus is a state-of-the-art company in both technology and IT. Consistent investments in technology that improved efficiency and simplified processes were made in previous years. They have developed a software for planning and managing production independently. Barrus always wanted to be the forerunner in using technology. However, the goal is not to hurry into anything, but to cleverly and targeted-orientally address technology. Technology is not an end to Barrus, but a tool to manage and ensure process efficiency. Due to the rapid growth of the enterprise, it became necessary to include help that could contribute to the thinking process. 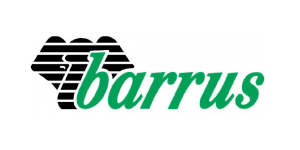 The management of Barrus, therefore, decided that it would be wise to join Columbus’ i-Enterprise program to plan the digital development of the company further. Outcome: The digitization goals set by Barrus management were mainly linked to increasing process performance (efficiency) and steady growth and improving adaptability with market changes. An increase in planning capacity is a prerequisite for achieving both objectives. During the i-Enterprise project, the company’s primary processes were analyzed, and a digital development vision was prepared for Barrus based on analytical results and an action plan to pursue that vision. In cooperation with management, improvement measures with the quickest potential business benefits were selected from the action plan, and collaboration with Columbus has now begun to be implemented. The best way is to fill out the i-Enterprise self-evaluation questionnaire, which takes only 10 minutes and provides an overview of the current situation of the enterprise as well as advice on how to proceed.